Here's a trick for filling gaps in joints that I have used more times than I care to admit. 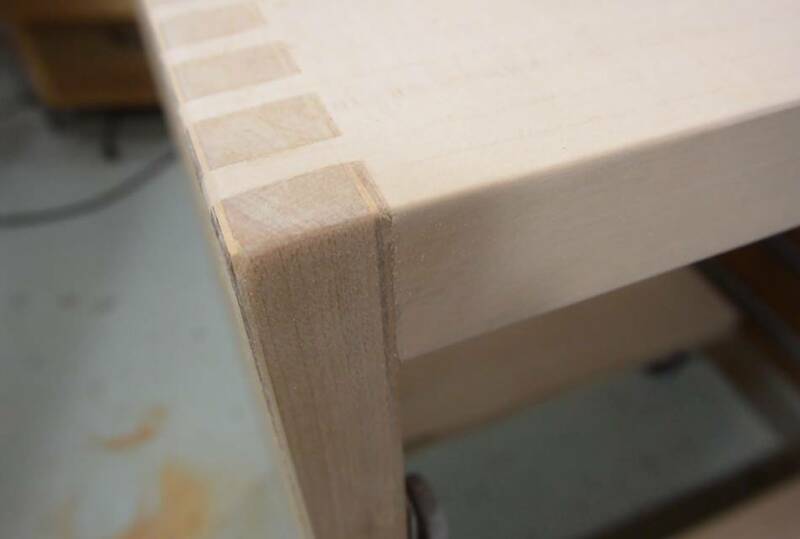 At left, the box joints on a cabinet set before I was able to push it all the way together, leaving an unsightly gap. Here's how I "fix" this sort of thing. Rub the glue off with sawdust. This will also rub sawdust into the joint's gap, where it combines with the glue. 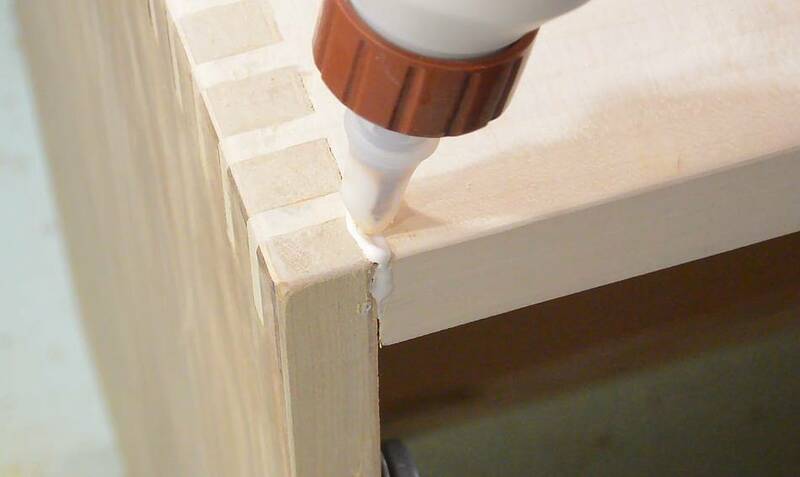 Sand away any glue residue. 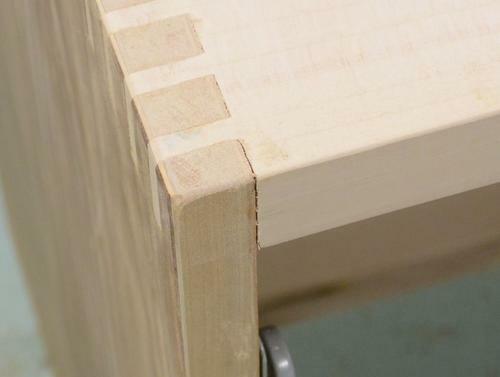 Chances are, some of the glue was smeared near the joint. Sandpaper takes care of that. 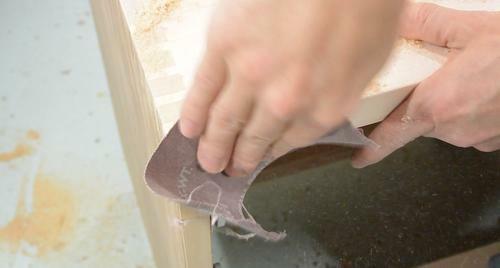 The dust from sanding, and the sanding action will further help to fill the gap. Gap is now filled and hidden. It's best to varnish it soon after. The varnish will also help to hold the filler in place. Do not clean it with compressed air before varnishing. This could blow out the filling. This method for gap filling works for gaps and nail holes, but doesn't work very well for filling in chipped out wood. 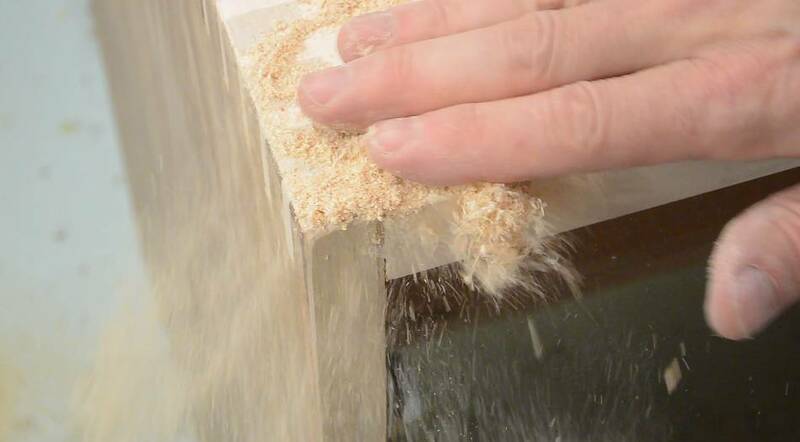 For wide and shallow gaps, make a paste of glue and sawdust, and let it dry completely before levelling it with a chisel or sand paper.